[INQ. NO. 1804E20] Integrated password management solution Pass Vault is a security solution that allows you to change and manage complex/massive passwords automatically without going beyond the traditional Excel or memory based password management. An increase in the information assets and the toughening of protection regulations are escalating the difficulties that an operator can address with his or her capabilities, such as an increase in the number of servers to be managed, the reduction of password change cycles, and the gravity of password leakage. Pass Vault saves operators from these difficulties and maximizes information security and business efficiency. Currently, most public institutions and companies frequently write passwords for servers, network devices, security equipment, and CCTVs in Excel documents and manage passwords, thus, the passwords are frequently leaked or lost. Therefore, operators should recognize that managing passwords carelessly triggers security problems despite its importance, thereby making them vulnerable to hacking, preparations must be made for them. Passvolt further strengthens the password management system and helps operate upgraded security environments. [Serial No. 2012-B-196] Sunin Unitech is now actively supplying CCTV products to many global companies with form of OEM since 2004. All of its products are being produced under ISO9001, CE and FCC. All products are being basically manufactured by its own R&D and it attained several patent products. Sunin Unitech’s major products include IP camera, NVR, DVR camera, digital wireless transmitter, etc. And recently, the maker released its HD wireless transmitter, HUTem Cam(Built-in Humidity and temperature sensor) and Talk Cam, etc. Sunin Unitech’s IP cameras support FHD (Full HD) resolution with 30FPS and POE, ONVIF and SD card slot ensuring incomparable quality of security service at any time. With the high-quality IP cameras(30fps and 60fps), Sunin Unitech’s recent developed NVR (64CH) equipped with IVS(Intelligent Video Analytic System) which supply high-end video security such as line counting, camera tampering, crowd detection, detect Face, detect Intrusion, detect left /removed object, detect loitering, etc. With the highly competitive items, Sunin Unitec keeps its strong market leadership mostly in countries of Japan, Vietnam, Colombia, Spain, New Zealand, and Hong Kong. Empowered by recognition from such areas, Sunin Unitec is further determined to pioneering such emerging areas as the U.A.E, Indonesia, South Africa, and Saudi Arabia. Filed Under: KOTRA Tagged With: cctv, digital wireless transmitter, DVR camera, IP camera, NVR, SUNIN UNITECH INC.
[INQ. NO. 1404E30] Established in July 2000, Sytopia has a major interest in manufacturing and distribution of electrical, electronic communication and security devices among others. To support these functions, it is registered as a venture company, information and communication business, software business and video visual production company. Some of its achievements are sales of intelligent CCTV video surveillance systems, registration as an information communication firm, successful distribution of automatic tracking camera equipment, start of development of visual processing embedded unmanned automatic object tracking control equipments and others. Among its products is the intelligent CCTV that is capable of following the directions that objects move in, the Speedcop 007 that solves all of your questions through 0.0006lux night vision and 30X zoom capable of capturing objects more than 100m away, recording by battery for more than 20 hours, the auto green-parking system for unmanned enforcement for unlawful parking in apartment complexes and general roads through utilizing high speed PTZ camera control that is capable of enforcing automatically and manually parked and idle vehicles, and the H.264 real-time network video recorder with integrated NVR system among others. SNT specializes in ITS structure business, manufacturing CCTVs, thermal observation device (TOD), camera laser, infrared ejector, broadcasting equipment design/guard/control system establishment by utilizing CCTV and TOD images. This company is an expert in information/communications at outdoor sites to minimize obstacles that might occur due to weather, salinity and humidity. 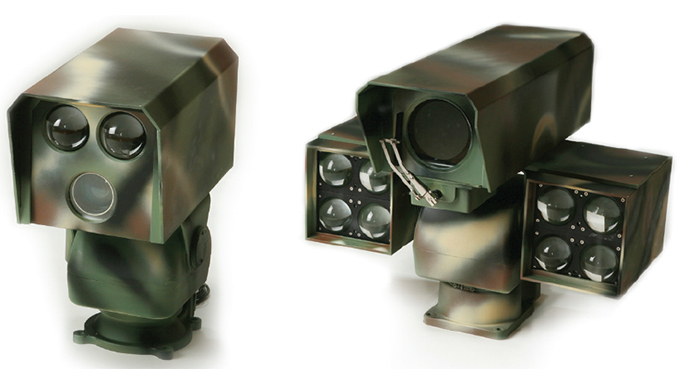 SNT’s SNT-SIS-1000P is a product that consists of projector and camera system in its housing. So it well maintains its features against any negative outer environmental factors. It is made with ABS (acrylonitrile – butadiene – styrene resin)material, so it is free of corrosion. Also it has no wiring that is exposed to the outside so that it has no possibility of being exposed to obstacles in function. The projector’s light transmission distance at night reached 1,000m. Now this product can be utilized for such various areas of applications as crime prevention, children safety zones, road safety and military bourdary line. SNT also released a surveillance camera system for forest fires. With the accompanying weather equipment that receives various kinds of weather information such as temperature, humidity, airflow, etc., it effectively detects the occurrence pattern of wood fire. In the case of the outbreak of a fire, it first calculates the exact location of ignition and then sends an alarm signal notifying fire occurrence and data by using GPS, electronic compass, GIS map, etc., and thus speedily coping with an emergency situation in the early stage of fire. Sunin Unitech is a reliable CCTV(Cameras,DVR,Mobile DVR and IP Cameras,Wireless Transmitters,etc. )products manufacturer in Korea. And it is an OEM supplier of many global companies in the CCTV industry. All of its products are developed and manufactured under ISO9001 and ISO14001. Sunin Unitech’s flagship products have CE,FCC certification and comply with RoHS regulation. Filed Under: KOTRA Tagged With: cctv, Digital Wireless Transmitter & Receiver, RoHS regulation, SUNIN UNITECH INC. 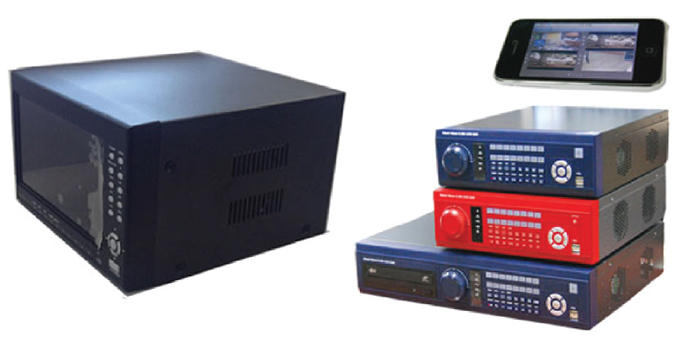 Since it was incorporated in 1992, Sun MyungElectro-Telecom has developed and manufactured outstanding networked DVRs, CCTV and security devices in the IP surveillance field over the past 11 years. 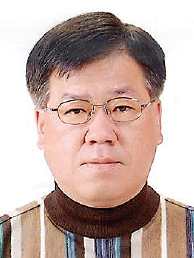 Sun Myunghas also gained strong know-how of network technologies and the security industry as a manufacturer and a developer with its IT telecom components background. As an ISO9001/14001 certified company, SunMyung Electro-Telecom can fully guarantee the reliability of its entire production process, from product design to production, performance, modifying, delivery and so forth. The company always aims to provide top-quality products to its customers, and continuously strive to offer premium services with its high-end products. At the moment, the company also focuses on high-resolution DVR, and makes CMS ideal for CCTV and DVR. This company’s latest IRIS Series (IRIS-L/IRIS-S) features a stable two chip solution of H.264 H/W Codec & Intel CPU, multiple video output(HDMI/VGA/Composite/Call monitor)and full HD resolution. The product is also equipped with adjustable setreal recording resolution from CIF to Full D1/channel(480/400fps), CMS for single 16ch & multiple 64ch viewer program, Mirroring(Raid1) function and optional CD/DVD RW as well as mobile viewer support: IRIS Viewer (iPhone) and 3 or 4 S-ATA HDD of Terabyte (can be built in). The markets of Indonesia,Taiwan, the U.S.A, Europe and Australia are major export destinations. Filed Under: KOTRA Tagged With: cctv, H.264 H/W Codec, Intel CPU, Network DVRs, Sun Myung Electro-Telecom Co. Ltd.
[INQ. NO. 1310C09] Mr. Jeong Tae-bong, president of U-Jin Co., Ltd. (www.u-jincable.com) was awarded the 61th Trader of the Month Award for his contribution in leading U-Jin Cable toward becoming Korea’s leading exporter of coaxial cables, which are a type of cable that is mainly used to transmit high-frequency signals like TV pictures. U-Jin Cable, which specializes in developing and manufacturing high-frequency coaxial cables for CATV, MATV and CCTV markets has recorded significant growth in sales revenues and export volume within and outside of Korea through the best service, quality and customeroriented active marketing initiatives. As one of the leading Korean manufacturers of coaxial cables, it also records exports worth $15 million a year. It was the first company in Korea to develop and commercialize polyethylene insulated coaxial cable and also foam insulated coaxial cable. Since it was founded in 1987, U-Jin has been readily coping with the demands of today’s information society that requires ever-faster and larger information transmission. For instance, U-Jin became the first company to supply gas injected high foam coaxial cable from Germany’s SIBE in the domestic market. In 2000, U-Jin joined with the world-renowned coaxial cable manufacturer, Times Fiber Communications and added all TFC quality products to U-Jin’s line up. In addition, U-Jin has devoted all its energy to increasing its presence in the global markets. Currently, exports have come to account for about 20 percent of the company’s total revenues, from 5 percent in the early days of business. U-Jin has lately made another achievement of opening a new CATV market in Thailand after it installed a ‘Conform’ production line. Between 2012 and 2013, it recorded exports worth $4.2 million, following $2.3 million in 2011 in Thailand alone, seeing a strong performance this year. U-Jin Cable has a head office in Sejong-city province in the central part of Korea, which incorporates the manufacturing, warehouse facility and research and development facilities with engineering experience. By combining these resources with the company’s strong customer service focus, it responds quickly and effectively to customer requirements while maintaining a high level of performance. Filed Under: Media Tagged With: CATV, cctv, Coaxial Cables, MATV, U-Jin Co. Ltd.
A Korean company EyeCar Network was bold enough to stand up to a difficult and somewhat impossible task: giving eyesight to a car, which will not only help analyze and find the cause of accidents but also expand a driver’s visibility for safer driving. EyeCar Network has been quite successful, thanks to its customer-oriented management, challenging and innovative attitude along with continuous technology advancement. 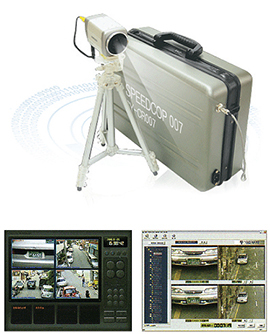 As a result, the manufacturer of black boxes for auto vehicles has been leading the digital visual industry in Korea. Main items are multi-channel black boxes for auto vehicles, external sub-cameras, and related accessories. Also EyeCar Network is making lots of efforts to find more overseas markets by taking on a series of international exhibition fairs. The Observer series has three different categories such as 1 Channel Model, 2 Channel Model, and 4 Channel Model. For 1 Channel Model, M1 is a compact black box system with 1.5 million pixels and is equipped with an embedded GPS module, Impact Detection sensor, Voice Guide and Voice Recording, etc. M1 also supports up to 32GB memory. R2 is a very tiny digital driving recorder with a 360 degree rotatable cradle, Smart Event Recording with an embedded 3 Axis G-Sensor, and an external GPS. 2 Channel Model has B1 and KASHOMA. Availing 1.3 million pixels, B1 can be well recognized with its simple and refined design, and it comes with a dual camera. The other features are embedded G-Sensor, Audio and Video recording, Voice Guide, etc. KASHOMA is elegantly standing out with its slim design and black color. Besides 2-channel camera for front and rear view, high-performing GPS, and adjustable G-Sensor, KASHOMA supports the screen resolution of 1280×720 and Auto Parking function that records any detectable event when a car is parked. You can find more information at eyecar.co.kr. If you want more information about ‘Black Box’, please contact us.